I had some leftovers from project 22 and project 21. 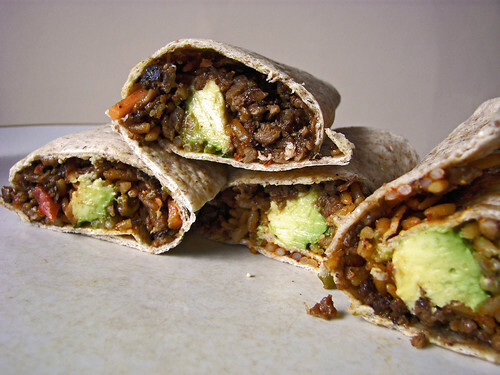 I used the remaining Mexican ground soy and the Spanish inspired pilaf rice that I wrapped in some tortillas, I added avocado chunks. Tasty leftover mini-burritos.